Horror Comic Awards - Horror News Network - The Horror News You Need! 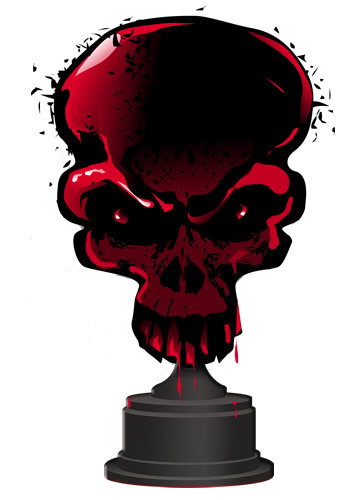 The Horror Comic Awards were created in 2009 to help recognize comic creators and titles within the horror genre and they spring from the site’s origins as ComicMonsters.com. Even though the site changed to a focus on “all things horror” as the Horror News Network, the staff continues to cover horror comics and takes pride in continuing to spread their love for the darker and alternative side of comics. Horror News Network awards “Best of the Year” honors in the following categories: “Best Ongoing Series”, “Best Limited Series”, “Best Artist”, “Best Writer”, and “Best Cover”. Horror Comic Award winners are chosen by our staff of horror-comic experts based on the quality and their overall impact on the industry during any given year. From major publishers to small press titles, all are taken into consideration by the staff writers who cover comics throughout the year. Each year our staff also works hard on selecting an individual for the Horror Comics Honoree award. This accolade is awarded to an individual that we feel has been instrumental in helping the horror comic industry grow and has had a profound effect on the world of horror comics.